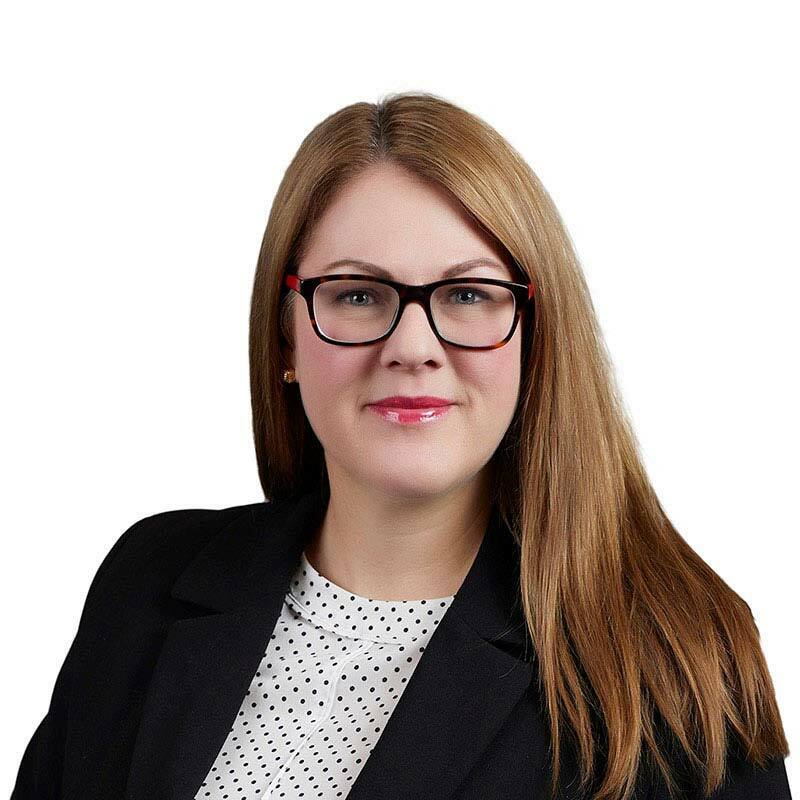 Meredith E. Jones is a partner in Gowling WLG's Ottawa office working in the Advocacy department's Medical Defence Group. As counsel to physicians, her practice focuses on all areas of medical defence litigation and professional regulation. Meredith has appeared at all levels of court, including the Supreme Court of Canada and the Ontario Court of Appeal. She has also represented physicians in proceedings before the College of Physicians and Surgeons of Ontario, the Health Professions Appeal and Review Board and the Human Rights Tribunal of Ontario. Originally from Ottawa, Meredith practiced at a boutique litigation firm in Toronto for over 10 years prior to joining Gowling WLG. In Toronto, Meredith acted as duty counsel for several years at Law Help Ontario (a PBLO project), providing free legal advice on a walk-in basis to low-income litigants. She was also a regular contributor to educational programming inside and outside the firm, which included presenting to physicians and medical students on various health-related topics. In 2016, Meredith represented the Canadian Civil Liberties Association as an intervenor before the Supreme Court in an appeal involving the enforceability of forum selection clauses in online contracts of adhesion. In 2018, Meredith was selected by her peers to be included in Best Lawyers in Canada for Health Care Law. "Minimum Maintenance Standards and the Municipal Act, 2001: Lessons Learned from Thornhill (Litigation Guardian of) v. Shadid" with C. Kirk Boggs, Irwin Law, 2008 Special Lectures program on Personal Injury Law "Blue Book." "The Case for Facebook", in Precedent magazine, Spring 2009; "Internet Use (To Catch Abuse)", Canadian Insurance magazine (cover story), September 2009. Kamalanathan v. CAMH, 2019 ONSC 56 (CanLII) - Acted for the successful defendant physicians on a motion for summary judgment. Morrison v. Barzo, 2018 ONCA 979 (CanLII) - Acted for the respondent physician before the Ontario Court of Appeal on an appeal of a judgment denying the plaintiffs the right to add the physician as a defendant to a medical negligence action. Scalamogna v. Di Toro, 2018 ONSC 6565 (CanLII) - Acted with senior counsel for the successful defendants on a motion for summary judgment. Douez v. Facebook, Inc.,  1 SCR 751, 2017 SCC 33 (CanLII) - Acted for the intervener, the Canadian Civil Liberties Association, in an appeal to the Supreme Court of Canada, which considered the enforceability of forum selection clauses in online contracts of adhesion. Kadiri v Harikumar, 2016 ONSC 330 (CanLII) - Acted for the successful respondent physician before the Divisional Court on an appeal of an order quashing the appellants appeal to the Divisional Court. Hawthorne v. Markham Stouffville Hospital, 2016 ONCA 10 (CanLII) - Acted for the successful respondent physician before the Ontario Court of Appeal on appeal from an order dismissing the action on a motion for summary judgment. Attayee v City of Pickering, 2015 ONSC 7701 (CanLII) - Acted for the successful defendant municipality on a motion for summary judgment dismissing the proceeding on the grounds it was not commenced within the two-year limitation period set out in the Limitations Act, 2002 and was an abuse of process. Tomeh v. Cheah, 2013 ONSC 6074 (CanLII) - Acted with senior counsel as trial counsel in a medical malpractice action. Basic v. Royal Health Care Centre, 2011 HRTO 1629 (CanLII) - Acted for the successful respondent physician on a summary hearing before the Human Rights Tribunal of Ontario. Da Silva v. Hannam, 2011 ONCA 505 (CanLII) - Acted with senior counsel for the successful defendant physician before the Ontario Court of Appeal on appeal from an order dismissing the action on a motion for summary judgment. Da Silva v. Wong, 2010 ONSC 6428 (CanLII) - Acted for the successful defendant physician on a motion for summary judgment.